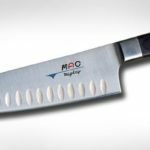 MAC MTH-80. 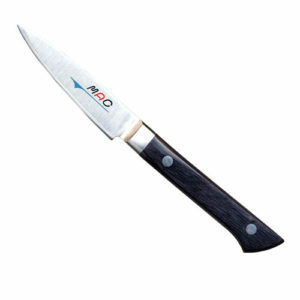 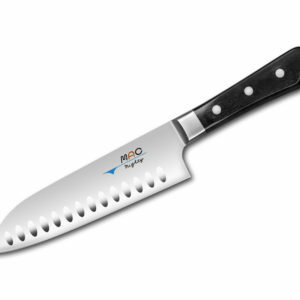 The MTH-80 is MAC’s most popular knife for everyday use. 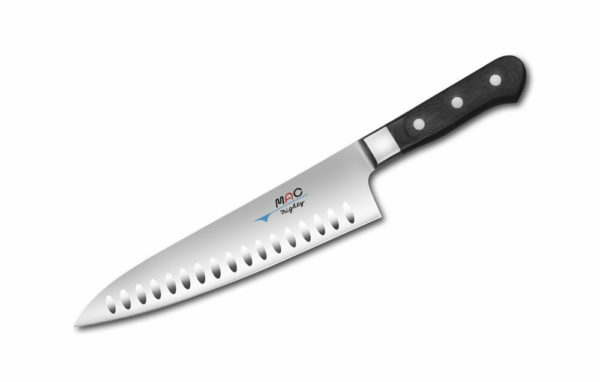 The 8″ length is the most commonly used size in both the home and professional kitchen. With standard features of our Professional series, the thin 2.5mm blade and bolster allows this knife to easily cut, slice, and dice almost any food. 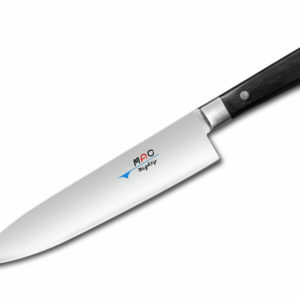 The added dimples help the knife to glide through sticky foods such as potatoes, apples, and summer squash.